Brent crude oil prices fell by more than 1 percent on Monday after Washington said it may grant waivers to sanctions against Iran’s oil exports next month, and as Saudi Arabia was said to be replacing any potential shortfall from Iran, according to Reuters. International benchmark Brent crude oil futures LCOc1 were at $83.25 per barrel at 0115 GMT, down 91 cents, or 1.1 percent, from their last close. US West Texas Intermediate (WTI) crude futures CLc1 were down 57 cents, or 0.8 percent, at $73.77 a barrel. US sanctions will target Iran’s crude oil exports from Nov. 4, and Washington has been putting pressure on governments and companies worldwide to cut their imports to zero. However, a US government official said on Friday that the country could consider exemptions for nations that have already shown efforts to reduce their imports of Iranian oil. Hedge funds cut their bullish wagers on US crude in the latest week to the lowest level in nearly a year, data showed on Friday. 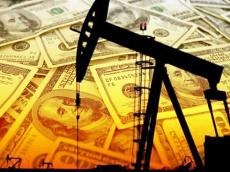 The US oil drilling rig count fell for a third consecutive week, as rising costs and pipeline bottlenecks have hindered new drilling since June. With Iran sanctions still on the table, potential spare capacity constraints and also a slowdown in US drilling, US bank J.P.Morgan said in its latest cross-asset outlook for clients that it recommended to “stay long Jan ‘19 WTI on supply risks to crude”.